It’s been a long, long time since the last time I’ve received anything from Japan. So it was a nice surprise to find this in my mailbox today! 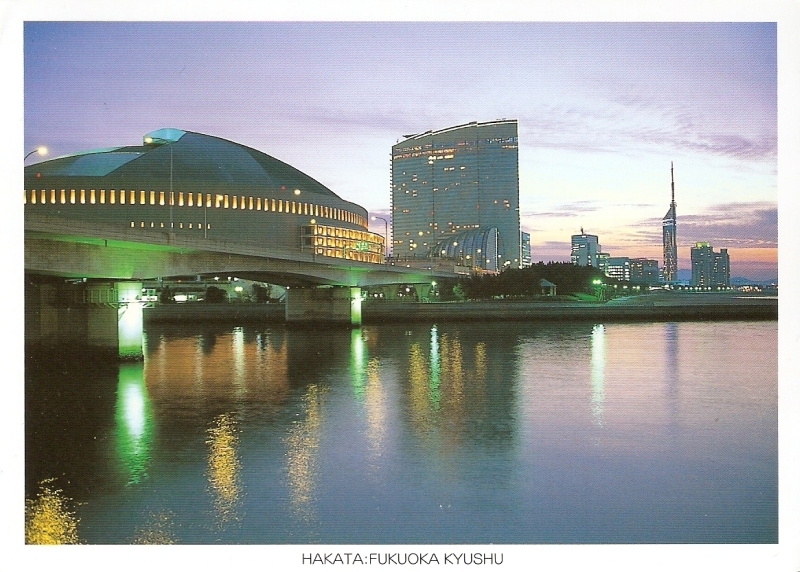 An official postcard from Japan! I get so few of those, it’s always a nice surprise to find one in my mailbox. And if it has a nice picture like this one… yay!! I got this lovely postcard back in July from my pal Yoshimi, and it’s been sitting on my desk ever since. I need to catch up with my mail. Another official, coming from Tokyo, the capital of Japan. It’s showing a communications and observation tower located in Shiba Park, Minato, Tokyo, Japan. At 332.5 metres (1,091 ft), it is the second tallest artificial structure in Japan. The structure is an Eiffel Tower-inspired lattice tower that is painted white and international orange to comply with air safety regulations. 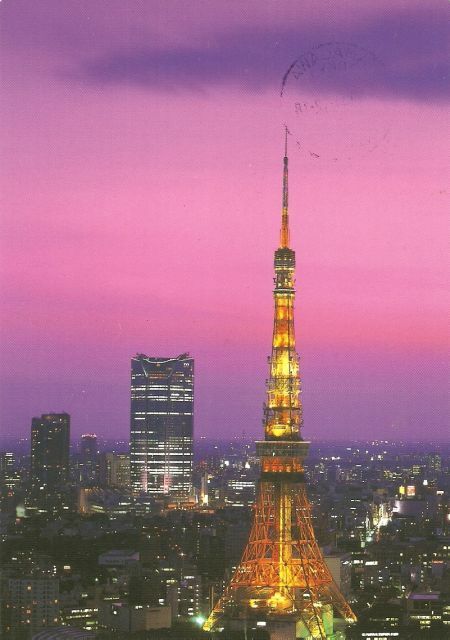 The Tokyo Tower was built in 1958. The tower’s main sources of revenue are tourism and antenna leasing. Over 150 million people have visited the tower since its opening. 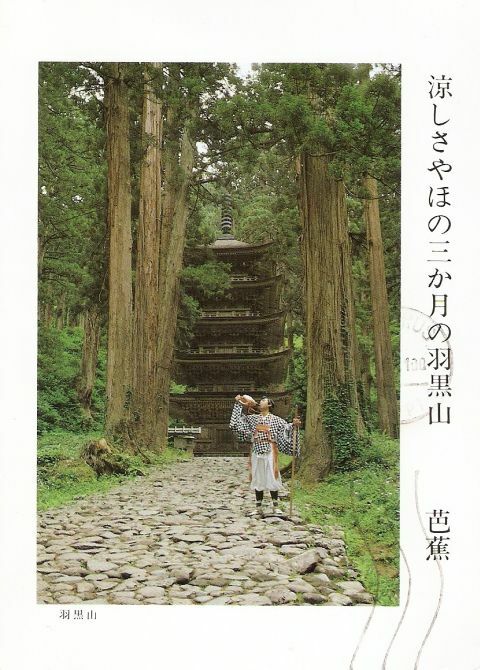 I got this postcard from my postcard pal Yoshimi.The postcard is showing the Gion-Matsuri Festival in Kyoto, Japan. 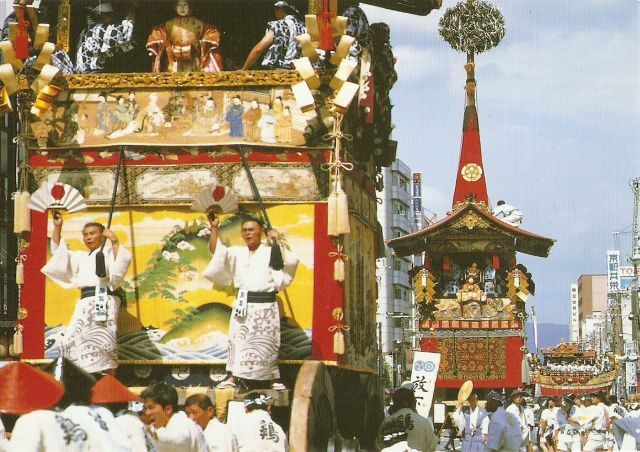 The Gion Festival takes place annually in Kyoto and is one of the most famous festivals in Japan. It spans the entire month of July and is crowned by a parade, the Yamaboko Junkō, on July 17. It takes its name from Kyoto’s Gion district. This festival originated as part of a purification ritual (goryo-e) to appease the gods thought to cause fire, floods and earthquakes. In 869, the people were suffering from plague and pestilence which was attributed to the rampaging deity Gozu Tennō. 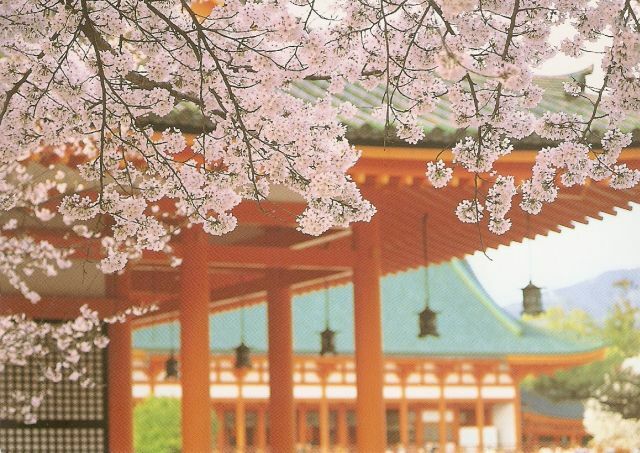 Emperor Seiwa ordered that the people pray to the god of the Yasaka Shrine, Susanoo-no-mikoto. Sixty-six stylized and decorated halberds, one for each province in old Japan, were prepared and erected at Shinsen-en, a garden, along with the portable shrines (mikoshi) from Yasaka Shrine. This practice was repeated wherever an outbreak occurred. In 970, it was decreed an annual event and has since seldom been broken. I have a new pen pal Yoshimi from Japan!!! :) This is the postcard she sent me, I <3 it!!! I got the following three cards today. They were sent from a Postcrossing user named Cockie, who actually posted a thread on PC forum asking if people would send sort of like birthday-postcards to her friend. I said I could send one, no problem at all, cause I think it’s such a cute idea to surprise her friend. She asked me to choose some of her Japan cards (3 of them) to send me in return. Not that I’m pretending to be modest or something, but I said I don’t want anything in return, let’s consider my card to her friend be just a random RAS card. She insisted, so I picked two cards. She sent me the third one anyway. That was very very sweet of her, I think I should definitelly remember her address and send her a Croatian card just because she is so nice. This card shows Mt. Inasayama, and it’s so beautiful. I love the combination of sunset colours and that misty look in the valley. This card is showing sunset at Sinnyodo Temple. Now that I look at it, it got scanned poorly, but I think it’s obvious why I love the card. And this card is showing Sujin Emperor mausoleum.